You want to start a business? Instead of making money for others, read this article and discover 125 Blog Topics that will earn you big in 2019. You made the decision and 2019 is your year. It is time to build a powerful blog, one that will grow and allow you to finally start generating big money online. 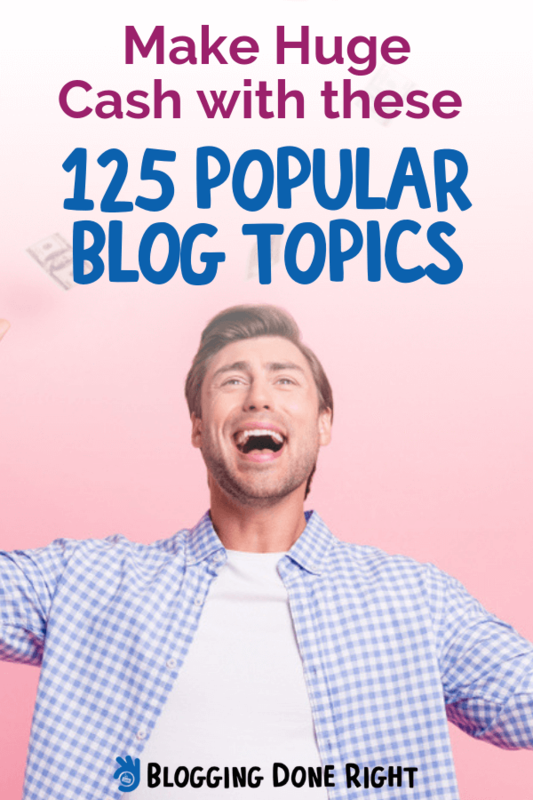 We have done the research and prepared the ultimate list of 125 popular blog topics that will earn you big. Depending how you want to structure your blog we suggest picking a combination of related topics. But the one advice we have for you is that no matter what you decide to cover, make sure to have affiliate deals in place to help you capitalize on your traffic. To learn more on how to monetize your blog click here for the 13 questions you should ask yourself before starting. Once your blog grows, you can reach out to relevant companies, offering them advertising space on your page. Between affiliate and advertising revenues, you will earn big with these popular blog post topics! Without any further delays let’s jump in. If this is your first time starting a blog, then click here for a complete guide for new bloggers! People are online for one of three reasons, to get entertained, to communicate, or to make money! This is such a vast subject with so much to cover and when covered correctly, it will allow your audience to get real value from your blog. Everyone is looking for a way to make additional income. Click here for the 31 best passive income ideas for 2019. Saving money is on everyone’s mind most of the time. It’s a survival mechanism and it will never go out of fashion, unless of course money become obsolete. Until then, audiences will flock to blogs with tips on how to save money. Saving and investing usually go together. Check out the 11 best investment apps for 2019. You can be as general or as specific as you want with this topic. Again, this is one of those more popular blog post topics. A health blog can focus on news about medical procedures or medicine. Or it can focus on ways to improve health by adopting certain new habits. Fitness is closely related to health which means here you have an opportunity to mix these two topics. However, if you prefer, you can keep them separate. When it comes to fitness, it’s one of the good blog topics that shares anything from diet advice to exercise routines. As your blog grows you can begin offering space for relevant ads. 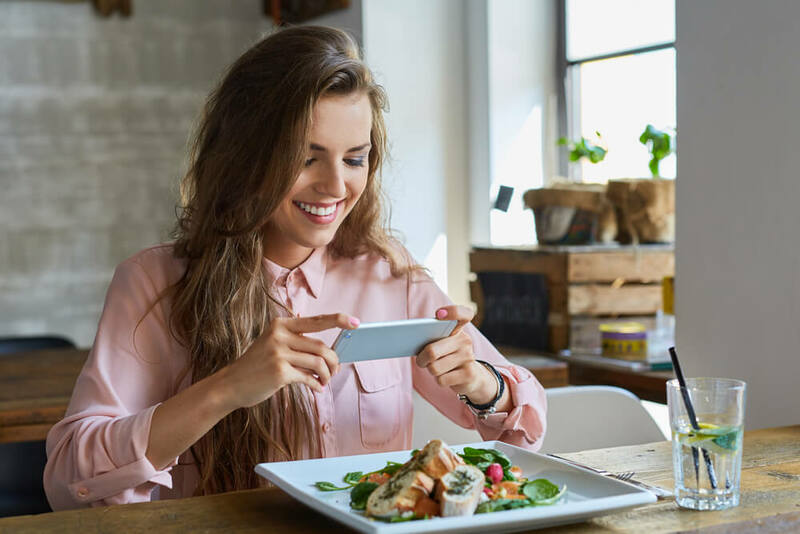 Read more on how to grow your blog by visiting 17 Top Income Streams for Bloggers in 2019.
Who doesn’t love food? Your audience here can be just about anyone! You can target stay at home mothers who are looking for fresh recipes, or workaholics who are looking for a fast way to prepare meals at home. These type of blogs are always popular and offer ample beauty and cosmetic advice. Beauty blogs have made their way to being one of the most popular blog post topics. Videos are always a big plus for these type of blog. Here is everything you what to know to make money vlogging. Fashion is always a popular subject, especially if you have a natural talent at predicting trends. Again, you can use your blog to cover fashion tips or even sell your own designs. Some of the perks might include sponsored fashion pieces coming your way in an exchange for a review. This is a favorite to write and read about! If you set this one up right, you might be able to travel and stay for free in exchange for a good review. Just make sure and get out there, as it can be a challenge writing about traveling if you don’t have firsthand experience. Affiliate partnerships with the travel industry can also carry high commissions. Get inspired by this success story on how to make money travelling. A survival blog is a broad subject, you can make it as raw as you need it to be. You can literary go out in extreme conditions and broadcast the whole experience. This can be lucrative, especially if you get yourself strong sponsors that offer products dealing with the great outdoors. If you love nature and you have a natural flair for design, this can be the perfect blog for you. What could be better than to spend your days decorating gardens and documenting it for your audience? This is also a very popular blog subject if you are naturally talented in design. You can spend your days decorating and researching decorating ideas for your audience. Build a strong following and begin charging for consultations! Time to get started by getting access to this completely free blogging course. Some would consider this to be part of design, we say this is a whole new closet of articles waiting to be written. The current trend toward a more minimal lifestyle makes this a very popular and highly searched subject. Learn how to make money with Pinterest using your blog content, and incredible pictures to demonstrate your superior organizational skills. Regardless of what people might think, books are a big topic, and the printed word is alive and well. If you are a bookworm, you can run a blog on reviews. This is a big favorite and will constantly chart high on the blog niche list. Your blog can take the form of daily confessions on your personal development. Or you can take this to the next level by covering tried and true tips. Even interviewing top consultants and sharing their advice with your audience. Either way you spin this, this is a very hot subject. Check out how to make money coaching with these 11 ways to earn with your blog. The whole world is moving the direction of one picture is equal to a thousand words. If you ever wanted to explore photography, what better way to do it than blog about your experience? This is a general blog but it is a popular match for people that want to try different things and share them with an audience. It will definitely keep you busy and you can be as serious or light hearted as you want. For more tips on how to monetize your blog click here to learn 100 + money making methods. There has never been a better time to blog about this subject! Everyone seems to have an opinion, and depending on your views and writing spins, this can even help you go viral. For more tips on how to help your blog to grow quickly click here. This is very similar to the How – to blog, but instead you compile and cover guides on just about anything. Of course you can start this type of blog by sharing some personal stories, and then call to your audience to share theirs. You can decide on the genre or leave it open. If you have a bright strong personality you might want to use it for product reviews. Look for new, up and coming products and offer to review them for free (initially) on your blog. An obvious perk involves a lot of freebies. 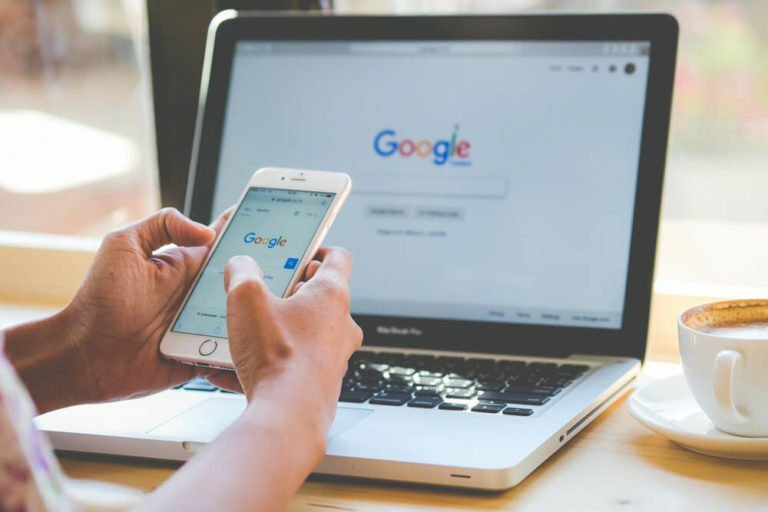 To make sure your blog starts ranking high on Google searches click here to read 11 fast steps you can take to make this happen! Highly entertaining! You can create your own Gifs and Memes or search and compile the best ones on your blog. This type of popular content is highly shareable. Many of us find ourselves giving advice daily to friends and family. Why not use this gift and develop a blog? You can begin with ‘imaginary’ requests for advice until you start engaging with your audience more. Once you brand yourself as an advice guru you can begin making money from consultations. Learn how to begin making money from consultations by clicking here. Everyone we know wishes they were more productive, including ourselves. Possible directions that you can take this blog include technology tips and general routine hacks or even tutoring people how to better manage their time. We are certain this guide can get you started to your financial independence. Click here to learn how to make money online tutoring. We all need more laughter in in our lives. Generally it’s immensely rewarding to make people laugh, so if you have a great sense of humor, this type of blog is a good fit for you. You can generate your own funny commentary on current events, or again search and compile funny content from other websites. Parenting is one of the most timeless popular blog topics. There will always be young parents looking for advice on how to survive parenting. If you are a parent and have some experience behind you, why not share it? You can create an affiliate agreement for literary every gift you promote and suggest. This type of topic is extremely current around holidays. You can run a blog about accessories only, or link this to fashion and lifestyle. Get started blogging about accessories by clicking here. Helping new dads navigate the increasingly complex world of parenting is a new trend that is here to stay. Similarly to the above, focusing on mothers and their challenges in the ever changing landscape of parenting. Do you want to become a wine connoisseur and get paid to drink wine for reviews? This is your ticket to get there. Offer reviews on wines, and documents your visit to wineries to share them with your audience. Naturally if you are good at organizing events you might as well develop a blog to share tips on how to do it. You can include anything from templates to get the job done and even suggest the best venue per location. Check out these tips on how a content strategy will help you make money on your blog. School is very demanding these days, and if you are the type of student that has developed smart ways to learn faster, you can capitalize on this skill through a blog. A study blog is the perfect place to promote several student related events, products and services. You can even offer online consulting to student. For more on how to make money coaching online click here. If you are in the process of learning a new language, why not share your lessons and tips on your blog? Most artist lack the business gene. This means that a lot of art will never been seen or appreciated unless someone like you helps artists to develop some business and marketing skills. If you want, you can become the portal that promotes art for commission. Lack of sleep is a problem, and a big one. People don’t do it much these days. Why not brand yourself a Sleep Expert and share tips to improve people’s health through sleep? Super-hot, super popular, super competitive, and one of the good blog topics that will continue to grow. If you play video games you might as well make money doing it. You can make decent money, but you have to be a video game lover. Click here for the complete guide on how to start a money making business. We can see from our social media that this type of information is gold. If you like writing, and can offer tips and advice, or even offer to do edits and give reviews pre-publishing, there is a huge audience for you. Are you a dog owner and you have great tips on how to take care of your k9? Share tips and ideas with your dog friendly audience and promote healthy food brands and other relevant animal products. Everyone looks at reviews to decide what to watch on a Saturday night. If you are a movie junkie, this is a match made in heaven. While you wait for your blog to generate enough traffic you can learn about more online business ideas. Here is a great list of 81 best online business ideas for 2019. This is purely for fun commentary on existing events. If you often find yourself making sarcastic or funny commentary about our current events, you can easily create a blog to make people smile amongst all the drama. If you belong to a particular faith, and you live by the teachings, why not attract other like-minded individuals and share your experiences? Link your affiliate links to relevant books and music. This is an incredibly lucrative and big market, with new schemes, idea and products popping up daily. Just about anyone running a blog, a business or any other online venture needs to know how to use social media correctly. You will attract a huge following, and you can promote tools and other companies that can help people grow their businesses online. Google analytics is extremely critical for any marketer to master. Don’t forget to click here to check out this 7-minute guide to setting up Google analytics. Personal and business branding is critical! Guide people how to create their brands and link to relevant design tools and companies that will raise their brand to the next level. While you are busy setting up your blog and branding yourself, you will need to generate some income to keep you going. This is the ultimate article with 109 ways to make extra money now. Why not review new software that is coming out and demonstrates their application? Possibly one of the hottest trends of our decade and it doesn’t look like it is coming to an end anytime soon. If you are an entrepreneur and want to share your insights, struggles, and wins, create a blog and help others find their path. Most entrepreneurial spirits tend to drop college for startup adventures. Make sure you check out the ultimate guide on how to make money without a degree. Most parents are constantly searching the internet for new ideas to get their children involved in offline physical creative projects. Almost everyone will take the internet to learn a new skill. If you know how to play the piano, you can develop a blog sharing techniques and tips with future pianists. I know plenty of people that have a natural gift at matching people with jobs and guiding people to discover their best suited career paths. If you love the idea of helping people in this way, then why not make it a blog? Click here to learn about how consulting can help you monetize your blog. Similar to the previous blog, if you love people and helping, you can motivate people to go after their passions. Motivational blogs have always been popular blog topics and they don’t show signs of slowing down. Popular with college kids and youth all around, you can review local or faraway places. Research online and find the best destinations for a young couple who want to party while creating affiliate programs with travel sites. You start local, and when the time is right get invited to places all around the country to eat for free and review. Fans of the paranormal are constantly looking for new information to research and share. If you are a believer and have some first-hand experience to back this up, this is a great blog subject. Probably at the top of a blog niche list, the followers tend to go all out and get their hands on anything that can help them understand this subject in detail. Covering the best beers, the best spots to go try new beers and breweries can be a lot of fun. Make sure you really like beer for this one. You may even have some advice to give when others are trying to set up their own microbreweries. Check out the ultimate article to make extra money now. Cover alien abductions, proof of alien life on earth or other sort of alien related topics. Like the subject before, a niche market with dedicated followers should help you grow your traffic fast. Share your passion for customizing your car with a large audience who is looking to create something unique for their lifestyle. Link to products and services that will enable your audience to create their dream car! Contrary to the popular belief the board game industry is well and growing. Sales are increasing and if you are a board game enthusiast you can review new games and create sales channels for your audience to get those game in their homes. To generate some extra cash while your blog is growing, you can make yourself some extra cash simply by taking surveys online. Click here to find out which are the 2 best paid survey sites. This is a huge area with millions of potential followers worldwide. Post news and reviews of games and link to sports services and products. Who doesn’t want to feel a rush of adrenaline? Maybe people with major anxiety issues, but overall this is a very thrilling subject to cover. You would probably have to do a lot of these extreme sports to give tips and reviews. Do you think you have the stomach for it? Police and legal injustice is on the rise, or at least this is something we see more of in the news lately. If you have a passion for justice, start a blog where you share stories of how people lost or won cases. Perfect blog to advertise legal services. You can pick and choose a legal situation or generally feature articles giving guidance for people looking into a variety of legal problems. Still haven’t decided what type of blog best suits you? Click here to learn how to identify the blogs that make money in your niche. Guide tattoo lovers to discover new designs and professionals, locally and internationally. Research, explore and share information on historic music events or up and coming events. Link to a portal where people can buy tickets and generate affiliate commissions. We are sure you have observed the global shift to a more sustainable housing movement. Tiny house are a lot of fun to research and learn more about, as their wisdom is applicable to many lifestyles, making it a great fit on the blog niche list. You never know when you will find yourself on “Who Wants to Be a Millionaire” having to answer that very random million dollar question. Again this is the type that can go viral quick. Find out how to optimize your blog by clicking here. One of the popular blog topics that will be a hit with parents is one that focuses on healthy ways to include sweets in their kid’s diets. Creating new healthy dessert recipes will be a lot for fun for you too! Strangely rewarding, creating origami is great for your eye-hand coordination, focus skills, and fine motor skills. Again your audience can be anyone who deals with crafts, from parents to children looking for creative ways to stay busy on cold winter days. This group is growing fast around the world, as women choose career, travel and personal achievement over motherhood. If you belong in this category, why not blog about it? Go ahead motivate people to be the best they can be! Brand yourself well and before you know it you might have a full-time job running coaching events. While you are busy building up that clientele list and traffic, make some extra cash by learning about these 71 side business ideas. Poker is a whole world on its own, and as such it needs the right coverage. You can cash in fairly easy by partnering up with online poker gaming portals, Las Vegas venues or other Poker Tournaments. You do not have to be a pro for this one. You can decide today that you want to learn and document your journey to be a master yogi. This is always so much fun, and no matter what people say everyone takes a sneak peek at their horoscope from time to time. But remember, even if your blog is not part of the top 17, you learn how to earn big as long as you create some strong affiliate agreements and learn how to drive traffic to your blog. To optimize your blog revenues find out which are the top 17 top income streams for bloggers. Design is not just for women. There is a different type of touch when it comes to design and men. If you enjoy that, and are looking to be creative while generating some affiliate income from various products or services dealing with design, this is a good match for you. Boats, tiny houses, toys, furniture and just about anything under the sun! You can learn how to build it and share the experience with your audience. Videos are the best way to run DIY blog. Learn all you need to know about vlogging by clicking here. For a niche audience that is willing to spend a lot for their game, this type of blog can generate good affiliate commissions for you. If you enjoy golf, you can spin this any way you want. Golf course reviews, product reviews, tournaments etc. You can insert your age plus 5 years and share with the world your adventures on how to make money. Anything is a possibility here, from how to build a business to saving techniques and investing. Here is a great article on how to how to make money to supplement your income and get there faster. For people who have to go through the process, it can be very stressful. Develop a strong blog about the pros and cons of various college options and help people choose where their future lies. See if schools offer affiliate deals for bringing students onboard. Health is on everyone’s radar. People look daily for new solutions to feel better. If you are a health guru this can be a great blog for you. There is a niche market out there for people who love horseback riding and own horses. If this is you, you might as well run a blog about this and share your tips and knowledge. You are wondering how to monetize your blog? Click here for important questions you need to ask yourself before getting started. Much like other health blog suggestions in this article, herbs, when utilized with knowledge, can help people achieve their health goals. If you have extensive knowledge in this, or you want to learn along with your audience this is a great subject. Have you ever wondered how you can make money by investing in cannabis stocks? Find out how to invest in cannabis by clicking here. A hot topic that is making its way in most homes. There is a lot of room for creativity here as you can share with your audience fun ways to recycle jars, boxes, furniture, and generally how to reduce waste. With the way the world is heading, and the massive political and economic changes, there is plenty of room to investigate and run a blog based on old or new conspiracy theories. Running a blog with live video interviews can be very successful. You can focus on anything, from interviewing educators, business owners, parents, elderly who want to share wisdom, health experts, and so on. Learn more about vlogging by clicking here. Perfect for writers or people with great imagination. Publishing your own short stories or even hosting stories from other writers can be a great portal for reaching your audience. Finding the best of, or the worse of, the business world and sharing their stories can be a perfect way to help aspiring entrepreneurs to learn. This type of content carries a lot of possible virality to it as well. You can explore aspects of history that often go unseen and publish your findings for your audience. If you like digging into history and making connections between events, this can be a great blog to run! Get your blog ranked high on Google using these steps. You can start a treasure hunt blog where you create games for certain areas and engage your audience to get out there and play! Who doesn’t like happy endings? You can find stories about rescued animals and shared them with your audience. This is an easy subject to link to various animal products and generate income online. Researching and finding the best wines, foods, classes, books games and so on can brand you as aficionado blog for people who want the best out of life. This type of blogging is broad but there is always something new to review and an endless list of affiliate agreements to be made. Everyone is looking to save money. You can share ways people can bring healthy spending habits into their homes. Anything from cooking, renovating, and traveling can be done on a budget! Check out these apps that help you invest money you save for faster growth. Dresses, venues, decorative ideas and bridal gifts. Wedding stories, the list is endless and with over 2.5 million weddings in the US alone, you can attract a huge following. For those who want to keep sharp, this type of blog can be a lot of fun to build! You can write anything from brain training games, to brain hacks, and new research. Great for people with a keen eye for design and technical skills. Link your articles to design software and generate healthy revenues from their affiliate programs. This is a very popular topic as more people are looking for ways to balance life and work. If you have some experience in the matter and you are pursuing the same goals, why not share your knowledge? If you are interested in making passive income from investing check out this revolutionary platform. There are a lot more ways to build your passive income. Also don’t miss out on these 31 great ideas to generate passive income. Speaking multiple languages has a big positive benefit to our brains. If you mastered the art or are in the process of figuring it out, share your language adventures with your audience. Have you figured out how to do this? Share your wisdom in step by step guides and real life stories and make the world a better place. This should definitely get you started on the path to getting what you want. We have found the complete guide for you to build a money making business. Perfect for college students that barely get any space to themselves. Or people living in large cities. Your blog can include anything from expert organization techniques to maximize space. Investigate and write about the lives of rich and famous, giving your audience inside information on what it really takes to make it. Are you ready to start this blog? Click here for a step-by-step guide on how to get started. Great if you are surfer and have a knack for catching the perfect wave. Document your adventures tips and reviews on relevant products. There is way too much happening around us. Technology, responsibilities, the endless pursuit of happiness. Perhaps the answer lies in simpler lifestyles. If you are willing to try this and document it, we are certain that you will attract many followers. Help people develop into confident effective public speakers to overcome the number one most common fear. You can share videos, interviews from gurus and other psychological tricks used by the best speakers in the world. Don’t forget to check out these great methods on how to build more revenue streams with these 31 passive income ideas. Tell the world about it. Blog about various quick fixes to expensive problems. Link your articles to the best products for car maintenance. Research and find the best coupons and deals for your audience. Everyone loves a good deal. If you are an entrepreneur that has gone through the process of building a startup, you probably hold some gold advice and tips to help others on their way. While you are building your startup and your blog use these ways to generate extra income. You can list charities, events, and even plan community fundraisers. If you have the charity bug in your blood, this is the perfect way to give back while earning by advertising relevant fundraisers. This can be any number of hot topics. Zeroing in on a specific demographic will attract a huge amount of people trying to build a blog for a group. Research flowers, take pictures, write about their possible uses. One thing is for sure, this type of blog will be extremely visually pleasing. This type of blog can be perfectly combined with a Pinterest account. Click here is how to use Pinterest successfully. Much like any other sport, it is a niche market but if you are a tennis enthusiast, this is the perfect match. You can run ads and promote tennis related events and products. Share techniques and other tips to help artist create beautiful art. This type of blog can be easily used to promote art related supplies and events. Stay organized and get to your goals faster. 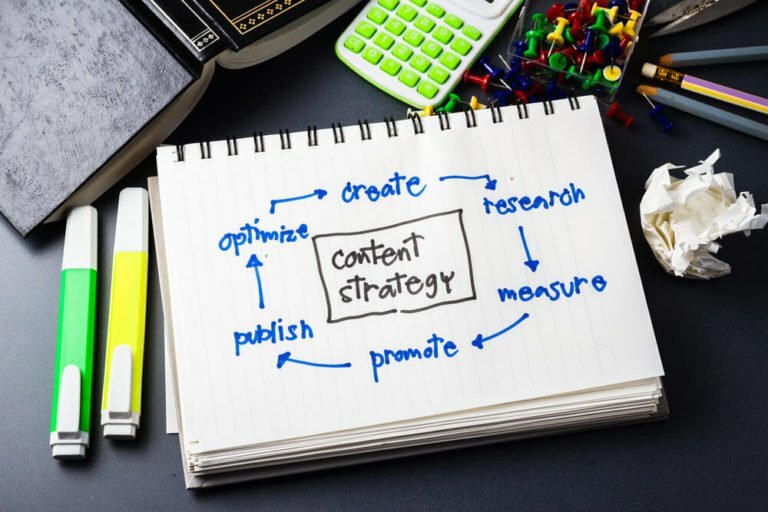 Learn how by reading this article on content strategy and execution. It has been around for a while but the trend is growing as more and more people are becoming concerned with their health. Like any health related blog, you can advertise Vegan events, books and products to generate income. Do you have experience in martial arts? Maybe you can tackle this subject. Your audience can be anyone, from children to adults, depending how you develop your blog. Perfect blog to advertise relevant events and local classes. Communication is the pillar of our civilization. Are we getting better or worse at it? Do you have a passion for this? You can spin this blog any direction you want, online or offline communication techniques, social media and their effects are just a few ideas to get you started. Show how to use various programs and software. Everyone looks for tutorials online when buying something new. Learn how to be great at vlogging to build the ultimate tutorial blog. Niche but growing rapidly as people are looking for ways to lower anxiety levels. Coupled with yoga it is a well sought after solution for many. If you have a collection that you’re excited to share with the world, putting it out in the Internet can do more than get you bragging rights. You can set up your blog to advertise, create trades, or just sell off your collection if it’s come down to that. Plenty to write about and explore! You can take the most recent facts and news about space and wow your audience. Much like the meditation and yoga blogs, this is all about relaxing. But since the theme is a bit more general you can include anything from relaxing pictures, videos to music, or products that promote relaxation. Also a great blog to connect to Pinterest for better results. Read here how to make money with Pinterest. This will attract not only architects but designers, or people building their dreams homes, or renovating. Perfect blog to promote design services, generate leads for architects and promote design products. This is a fun one, and if you always had a fascination for the ‘strange by true’, why not make it your blog? If you are a fan and you have accumulated tips and advice, this is a good blog subject that will surely attract a dedicated audience. Promote relevant products and run ads for sewing and knitting supplies. Sewing and Knitting is a huge niche on Pinterest. We all love these stories. They carry high viral value and give us hope. They also make great conversational topics for when we meet friends. 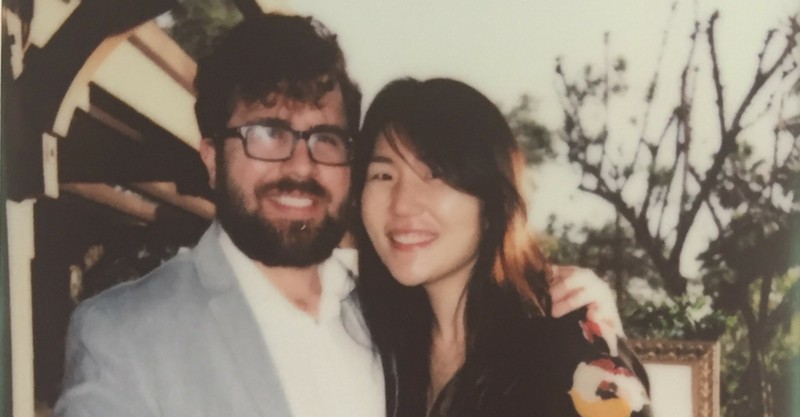 If you had to overcome a break up, which most of us we had to do at some point, why not help people with tips and ideas on how to get out there and connect with others to move on? Although a lot of websites already cover this topic, your blog can have your personal touch of commentary making it one of the most popular blog topics! 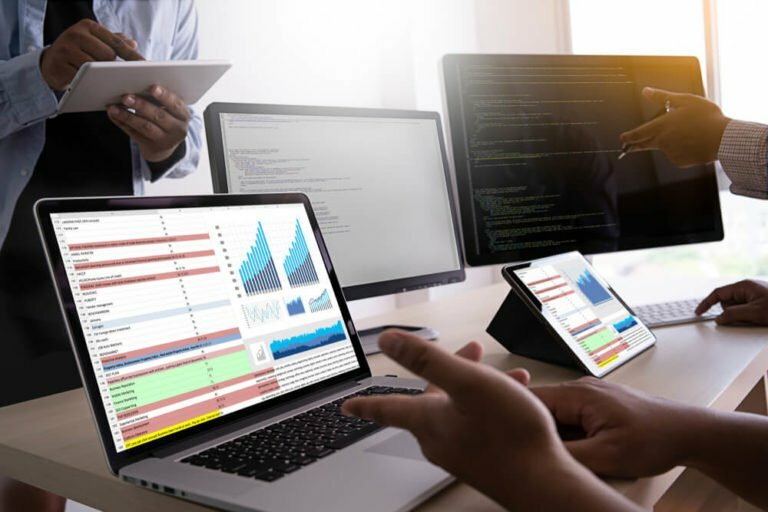 This article can help you by ranking the top niches for 2019. Huge problem with a lot of creative solutions! But you have to be good at finding these solutions for your audience. Closely related to the organizational blog, you can combine the two subjects for more content availability. This is a perfect match for real estate agents who are looking to generate leads and help their buyers or sellers to optimize the process, and get more value from their transactions. If you are a beginner in real estate click here for 27 tricks you can leverage. Remember at the end of the day, whichever of these popular blog topics list that you pick to write about you will succeed if you have a personal passion for the subject. If you have passion, knowledge, or just plain drive, any topic that piques your interest can be monetized. It doesn’t matter if your target audience is one million or one hundred, if you provide content of value and can bridge the gap between them and a product, you’re on your way to a blog as a business. Time to get started! Good luck and check out more of our articles to guide you through the process of building and maintaining a successful blog. Just starting a blog? Click here for a complete guide for new bloggers!